Thanks so much for your interest in joining up as a Member and supporting us financially for the tireless work that we do. Your efforts are very much appreciated! Please read through the various Membership options that we have below and select the one that best suits your needs. Get access to our fully edited weekly podcasts, along with our show notes for each show and our extensive Court Cases page. You also get access to our Members Only forum, where you can post any questions, suggestions or discussions you may have and get on-going support relating to our information. Please note, if you are an existing digital e-book Member, you should log into your "My Member Account" page and use the Upgrade link to add KYR Podcast Membership to your existing E-Book Membership. That way, you can use the same account and log in details, which will not be possible if you do not use that function. You save almost 20% by paying annually instead of monthly. Access our powerful e-book "The essential step-by-step manual for understanding and exercising your rights." on-line from your PC, tablet or smart phone. (Please note that you can't copy and paste from this version but all the links will work. We do always recommend our Hard Copy version though, which contains all the links, videos and documents referred to throughout the e-book on an accompanying References CD). You also get access to our Members Only forum, where you can post any questions, suggestions or discussions you may have and get on-going support relating to our information. Please note, if you are an existing KYR Podcast Member, you should log into your "My Member Account" page and use the Upgrade link to add your digital E-Book Membership to your existing KYR Podcast Membership. That way, you can use the same account and log in details, which will not be possible if you do not use that function. 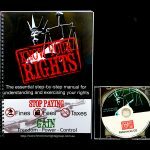 Access our powerful e-book "The essential step-by-step manual for understanding and exercising your rights." in a professionally printed and bound hard copy form, which includes all the links, videos and documents referred to throughout the e-book on an accompanying References CD. You also get access to our Members Only forum, where you can post any questions, suggestions or discussions you may have and get on-going support relating to our information. 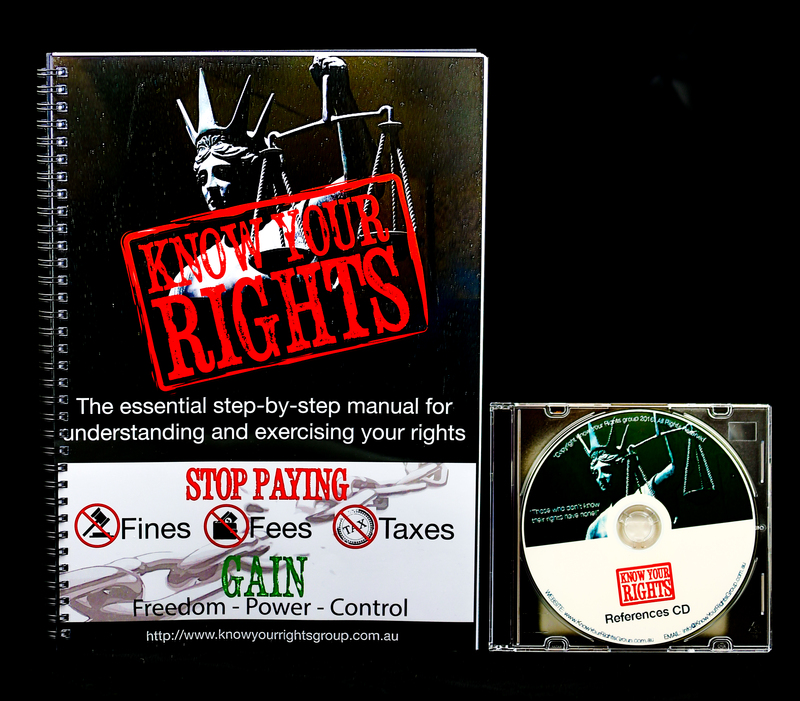 The hard copy of our book - "The essential step-by-step manual for understanding and exercising your rights."